Oil on canvas, 34 1/2 x 28 3/4 in. (87.3 x 72.7 cm), framed. Condition: Lined, scattered retouch, varnish inconsistencies, craquelure. N.B. 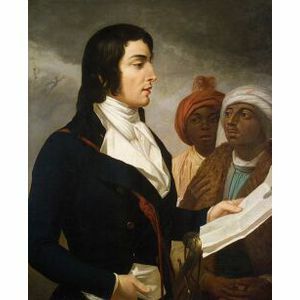 Susan Siegfried of the J. Paul Getty Museum notes "Desaix was one of the first military figures to be lionized by (the French) government owing to his premature and heroic death. The Salon of 1802 was the first opportunity for paintings celebrating him to be exhibited, and indeed there were several." 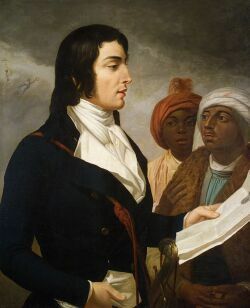 This piece in particular is believed to be one of several versions of this portrait painted by Appiani for official distribution by the French government or as a memento for a member of Desaix's family. A similar example of this piece is now in the collection of Versailles. The lot is accompanied by copies of Ms. Siegfried's and others' letters discussing this piece.